Award Winning, Double Board Certified and Published Author Dr. Philip Young is an expert in Laser Resurfacing for the Asian | Ethnic Patient with more than 12 years of experience in this field. Learn about the Top Ten Reasons to choose Dr. Philip Young. 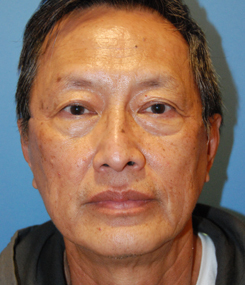 Some of the moles are not gone and this patient just wanted a general overall improvement. If moles are of a concern, we can laser them for you as well. You can see our mole removal page to get an idea of the healing and before and afters by clicking here as well: Mole Removal by Aesthetic Facial Plastic Surgery. 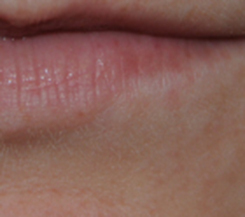 When you come in we are going to discuss with you how aggressive you would like us to be with your laser resurfacing. We will discuss with you whether you would like us to do fractional resurfacing or traditional resurfacing. You can see this video to learn more about laser resurfacing and about fractional resurfacing including terms like active fx, deep fx, total fx and max fx. 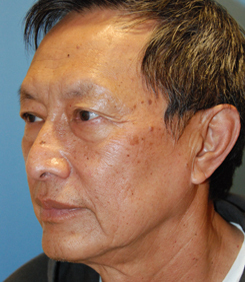 click here for our video: cO2 Laser Resurfacing Video Demonstration | Explanation. 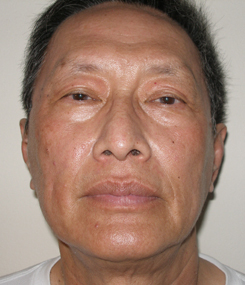 You can also find out about the healing process for co2 laser resurfacing here: Laser Resurfacing Photo Diary of Healing. 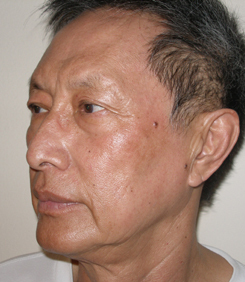 One of the things that most concern people is the pseudohyperpigmentation that can occur in Asian and Ethnic Patients. This is when the skin turns dark after it undergoes a period of redness. It is most evident in people that have dark hair and light skin. The dark hair signifies the level of pigmentation or risks of pigmentation the melanocytes will undergo after a period of inflammation. This occurs any time you do laser resurfacing. What happens when you get hyperpigmentation? Well it can take several weeks to months for it to go away. We can speed the process up by starting very superficial chemical peels and having you do some on your own as well. We have been through this situation many times and can help you get rid of this pseudohyperpigmentation. If you have any questions you can call or contact us here: Aesthetic Facial Plastic Surgery Contact Page.